Home » DJ Jazzy Jeff , he's the dj , michael jackson , michael jackson tribute , mixtape » DJ Jazzy Jeff x Michael Jackson "He's The King I'm The DJ"
DJ Jazzy Jeff x Michael Jackson "He's The King I'm The DJ"
When people reach a certain level of fame where they reach EVERYBODY sometimes the over-saturation keeps us from truly appreciating their talent. We get tired of everyone talking about them. Michael Jackson did things for the pop world that can never be topped, just as Michael Jordan and Hulk Hogan did...people will break their records and make more money but the IMPACT they created can never be undone until someone reaches fame on another planet. 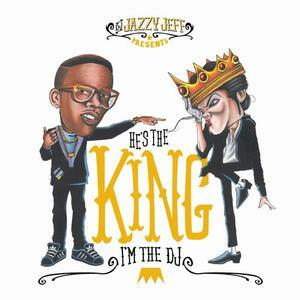 DJ Jazzy Jeff put together the incredible birthday tribute to Michael Jackson in the form of "He's The King I'm The DJ". No more words needed. Enjoy.